In December 2012, I (somehow) convinced my parents to let my brother and I ditch them on our family holiday in favour of a trip to England to catch 'Florence + The Machine' in concert in Liverpool. I think at the time I didn’t realise how significant the result of such a wild idea of mine would be.. not just the granted permission for two ratbag kids to do what we wanted, that was an ordinary occurrence. It was the magical experience I had ahead of me that was Florence Welch and her otherworldly artistry live (key word is live) that I never saw coming. I can vividly remember the ecstasy I felt when I heard her sing her guts out that night, shaking for most of her performance as I said over and over again to my brother, “she is just unreal”. Thinking back to 2014 now, I remember hearing word of a new bout of genius from the British songstress and imagining how brilliant it would be knowing she could only possibly build upon previous LP’s 'Lungs' and 'Ceremonials'. I remember hearing 'What Kind of Man', the first track on the new album, as I sat all cozied up at home the February before last. And most recently, I remember hearing that same song in all it’s glory, along with the rest of 'How Big How Blue How Beautiful', live at Splendour In The Grass last year, 300% speechless the entire set. Flash forward to today, and yet again, I’ve been affected by a piece of art that no one else could have possibly created. A few Monday's ago, the final chapter of 'The Odyssey' and the film in it’s entirety were released - an odyssey being a long, difficult journey that changes a person through certain trials and tribulations. 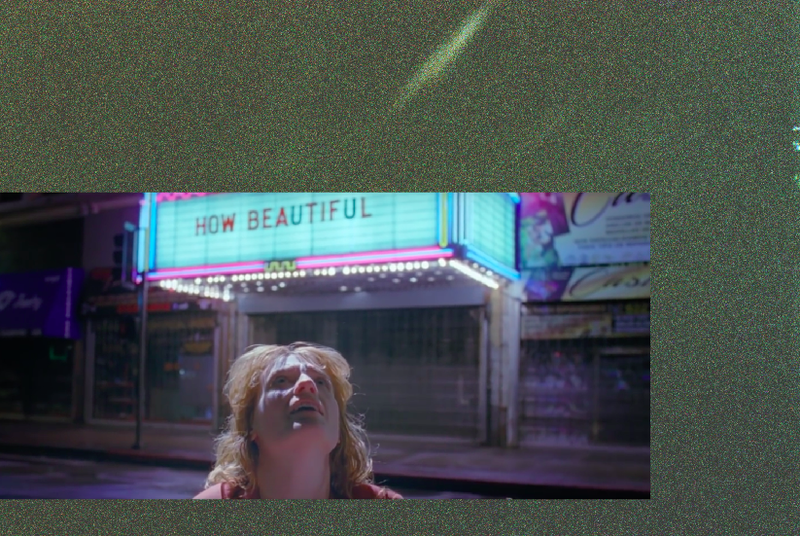 In Florence’s case, the odyssey is, among other things, her journey through the disintegration of a relationship and her personal issues with identity, self-worth and the lows of performance as articulated in her recent album. The film is the culmination of seven extended film clips of songs from the album, each released over time beginning that same cozy night two February’s ago. Director Vincent Haycock told Rolling Stone Magazine, “it follows Welch's cinematic journey through the storm of heartbreak… each song or chapter represent[ing] a battle that Florence traversed.” When I watched the first few parts of The Odyssey last year for the first time, I felt something move within me. I went on to watch each part chronologically as they were released and now, with the release of the last part, I re-watched them all in one go. I felt the same kind of awakening, and so much more. In some moments, Florence is vulnerable and visibly contemplative. In others, she verges on psychotic, as if there is a constant exorcism going on within her, forcing her to throw her arms around and wail in angst. The strangest thing is that as I watch her act like this, ghostlike and deranged, I see myself in every emotion. Maybe it’s the lyrics she sings with such conviction, or the reoccurring themes of heartbreak, self-destruction, and loss - a trio of raw emotions that are so universal it hurts. In the third chapter, a voice whispers "why are you travelling alone, are you lost?” and I, five months on from leaving home and all the people I love, melt into a teary mess. In part four, Florence sings 'Ship to Wreck' as she darts around her house in hysterics and you feel like you’re in her world, drowning alongside her. “Is it too late, to come on home” echoes through the sixth and instantly, home-sickness stabs me in the stomach. Everything about it leaves me feeling brokenhearted and yet, somehow, I am left with a sense of comfort too. It’s spiritual, it's damn emotional, but what I’ve come to realise most is how visually beautiful it is. Similar to how people warn you to read a book before watching a film, I listened to the entire album before watching The Odyssey in full... but there was nothing I could have conjured up in my mind that Florence and Haycock didn’t cover or totally transcend themselves. Violence, retribution, emotional and physical abuse, love, tears, glory and peace. It’s all there, "and suddenly I’m overcome", just as she sings in chapter five. She sings of ghouls, demons, and things you only find in fairy tales, but every word and combination of sound is performed in a way that evokes such incredible imagery, so much so that nothing seems fictional at all. Known for her (well, The Machine’s) major orchestral goodness in the past, this album and film don’t fall short instrumentally here either. Heavy brass melodies, string-based warmth and quivering electronic beats all feature harmoniously and prevail in doing so, encouraging you to cry, dance and trash your house all at the same time. Love is a beautiful thing, but there is a lot of pain hidden within it. Few artists sing so deeply about this pain.. but Florence does and my god, she does it with soul. I can't help but think I've never seen someone act so profoundly. The immense power that music has to make you feel - like really really feel - is something I’ll always cherish and believe in. For me, Florence + The Machine will always be one of the greatest examples of this truth. And as I sit here in awe of this woman, this film and how unmistakably relevant her words are to me today, I wish I did strip down that night. I wish I did it for her, but mostly I wish I did it for me and all the future heartbreak, happiness, self-destruction and emotional re-wiring I’d traverse through on my own odyssey. (featuring screen grabs from the film).